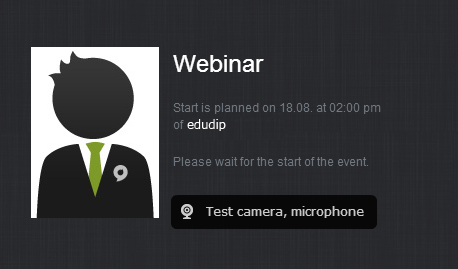 To offer webinars on edudip, you must first be registered. You can create an online-seminar by clicking on the black button "Create seminar" in the top menu bar. In the next step, you can define all details about your webinar. For example, you can invite contacts comfortably or upload files. If you would like to publish your webinar in the market place, please upload an event picture here. As a Plus or Pro member you have the possibility to record your webinars and offer the recordings to your participants or other interested people. Call up the event manager of your webinar. There you can choose under “recording” if you want to record your webinar and for which price you want to sell it. Please note that for participants of a webinar the recording is always free. 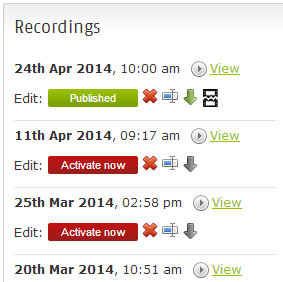 After the webinar, you can decide whether you want to unlock the recording or not. Click on the button “watch video” on your webinar page. After that a new window with the video opens. 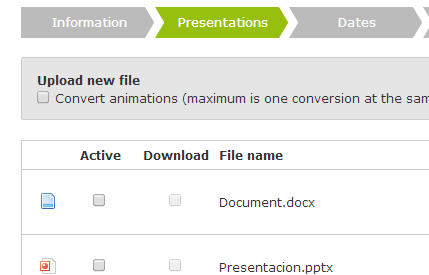 Here you can change its name, delete it, request it as a download and publish it with the button “Activate now”. 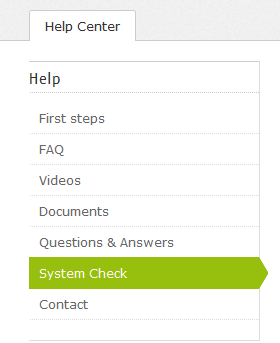 You can create an online-seminar by clicking on the black button "Create seminar" in the top menu bar. 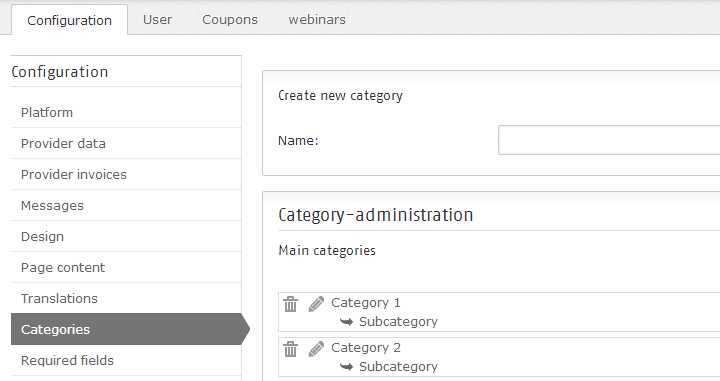 In the next step, you can define all details about your webinar. 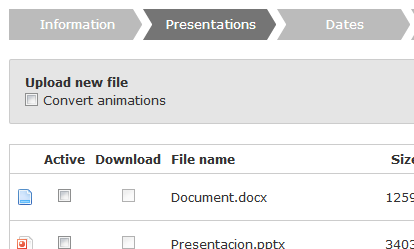 For example, you can invite contacts comfortably or upload files. 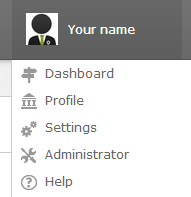 You can also change the settings after creating the webinar. Nevertheless, as soon as participants are registered for your webinar, you can no longer shift the event. You have the possibility to record your webinars and offer them to your participants or other interested people. 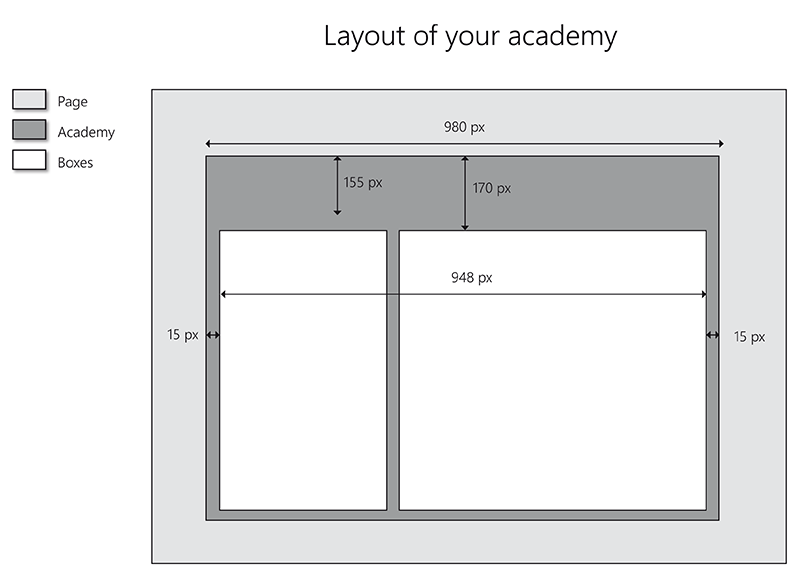 Call up your “advanced information” in the editing menu of your webinar. There you can choose under “recording” if you want to record your webinar and for which price you want to sell it. But for participants of a webinar the recording is always free. After the webinar, you can decide whether you want to unlock the recording or not. Click on the button “watch video” on your webinar page. After that a new window with the video opens. 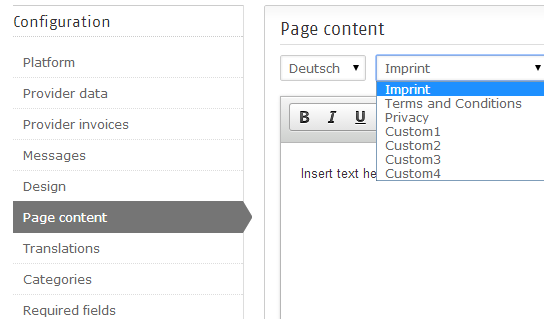 Here you can change its name, delete it, request it as a download and publish it with the button “Activate now”.